Eliminate complicated, expensive wiring, wall boxes and individual key switches with a radio control system. Equip each Electric Backstop or Divider winch with a 503060 EZ Power Receiver/Operator. 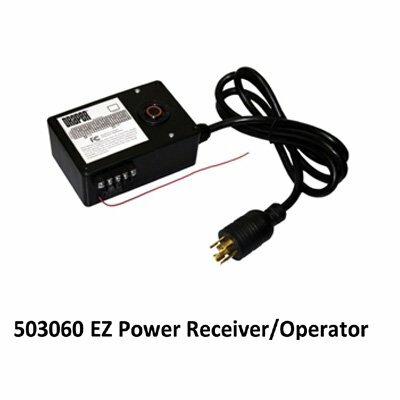 The EZ Power portable hand held transmitter is capable of operating up to 99 individual EZ Power Receiver/Operators. Power supply for the hand held transmitter is a standard 9-volt battery. Operating range is approximately 75’ (2286cm). Requires item 503061, a 99-station transmitter.